Geneva(Switzerland)/Nairobi (Kenya), 13 March 2010 - John Scanlon, a top advisor at the United Nations Environment Programme, has been named as the new Secretary-General of the Convention on International Trade in Endangered Species of Wild Flora and Fauna (CITES). Mr. Scanlon was selected after a global search and selection process yielding close to 200 applicants and will assume his new position in May 2010. Mr. Scanlon, an Australian national, joined the United Nations Environment Programme (UNEP) in 2007 as the Principal Advisor on Policy and Programme to Executive Director Achim Steiner, in which capacity he also led the UNEP internal reform team. A lawyer by training, he has had a long and distinguished career in environmental law, policy and management at national and international levels. Among other roles, he was Australia's first independent Commissioner on the Murray Darling Basin Commission, he held the position of Strategic Advisor to the World Commission on Dams in Cape Town (South Africa), and headed the Environmental Law Programme (Bonn, Germany) at the International Union for Conservation of Nature (IUCN). He also served as Chief Executive of the Department of Environment, Heritage and Aboriginal Affairs in South Australia and held several senior roles in New South Wales including as Deputy Director-General of the Department of Infrastructure, Planning and Natural Resources. CITES is an international agreement between governments that was adopted in 1973 in order to ensure that international trade of wild animals and plans does not threaten their survival. With some 175 Parties, the Convention is one of the world's most important agreements on species conservation and the sustainable use of wildlife. Achim Steiner, UN Under-Secretary-General and Executive Director of UNEP, said: "John Scanlon is a highly qualified and accomplished professional in the fields of environmental law, international policy and governance. His extensive management experience in public institutions and the strategic role he played in UNEP's recent reform programme make him an outstanding candidate for leading the CITES Secretariat at this critical juncture when the efficacy of environmental governance instruments is under scrutiny." 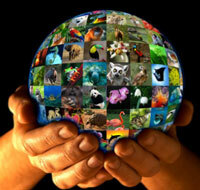 CITES is currently holding its fifteenth meeting of the Conference of the Parties in Doha, Qatar, from 13 to 25 March. Over 42 proposals are on the table, reflecting growing international concern about the accelerating destruction of the world's marine and forest ecosystems through overfishing and excessive logging, and the potential impacts of climate change on the biological resources of the planet. A growing number of commercially exploited fish have come under CITES controls in recent years. For instance, basking and whale sharks were included in Appendix II in 2002, the great white shark and the humphead wrasse in 2004, and the European eel and sawfishes in 2007. 2010 marks the International Year of Biodiversity and the role of CITES in regulating the global trade in plant and animal species is widely regarded as central to promoting the dual objectives of conservation and sustainable use. Mr. Scanlon succeeds Mr. Willem Wijnstekers who served the CITES Convention as Secretary-General since 1999 and will retire on 1st May 2010.